For exceptional chemical resistance and non-metal construction, this storage cabinet is a clear choice. The wood laminate finish has no internal metal parts that could corrode. 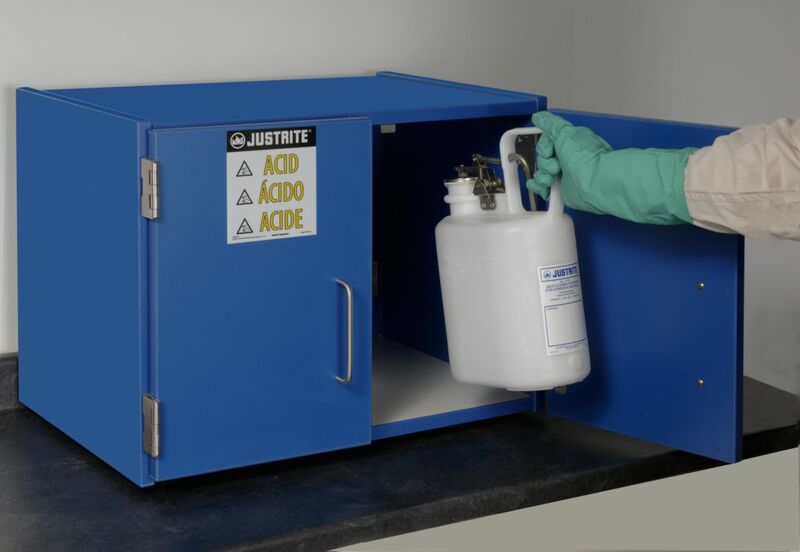 Resistant to phenol, nitric acid, sulfuric acid, and more, this durable cabinet will add to the safety of your laboratory. Convenient size allows for storage in areas with limited space. Ordering information: Ten year manufacturer warranty.